They become rarer, the wheels in 26" with brake surface for rim brakes. Of course, you'll still find 26 inch rim brake wheels in our shop. All smaller sizes, such as 24" wheels matching to kid's bikes, street or dirt bikes or even smaller diameters, such as 16" for foldable bikes can also be found here in our shop. 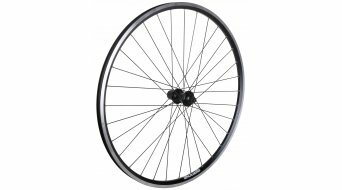 So-called complete wheel systems are the right choice if you do not plan on having your wheel individually built but prefer a ready-to-go complete wheel. 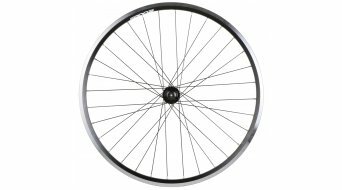 Find your new wheel set for rim brakes here at a low price, or choose an individual wheel, either a front or a rear wheel.